Recently I had an interaction with a friend and he found that I invest in stocks and he has lost some goodish bit of money in stock market. So he wanted to know some stock tips what stock should he be buying. I explained to him why mutual funds are better for him. He insisted on suggesting me few stocks and he will not buy them but will just look at them for knowledge purpose. This is when I shared few of my favorite stocks. Next morning he gave a call early morning and had a big question to start the conversation. Page Industries ka price 14 hazaaaar hain kya? And believe me I couldn’t add enough a’s to hazaaaar but in this conversation, I realized often we value the stock at a price and not for a value. We have a belief low price means better. Stock at ₹100 is cheaper than stock at ₹14,000. I can’t imagine my friend’s reaction when he finds the stock price of MRF which is currently trading over ₹60,000. The share price of Berkshire Hathway which trades in NYSE is more than 1Crore in Indian rupees. It is not about the price but the value at the given price. Quantity of shares doesn’t matter when it comes to calculating returns. Returns are calculated based on the amount invested and not based on the units held. The overall return is not calculated based on the number of shares held but on the amount invested which is ₹50,000 in each case. Brokerage and other tax are also calculated based on the amount. A 2% profit will be ₹1,000 in all the above cases. As of March 31, 2017, Infibeam is trading at 950 odd Rs and at 157 times current year’s earning. Whereas Page Industries trading at above 14,600 is trading at 63 times current year’s earning. So the price the share it is trading at doesn’t matter but what matters is at what valuation. Page Industries is one of my favorite stock but it is not part of my portfolio yet because it has always been very high valuations. This article is by no means a recommendation of page industries and because it is trading at a higher price, is used for demonstration purpose of price vs value. 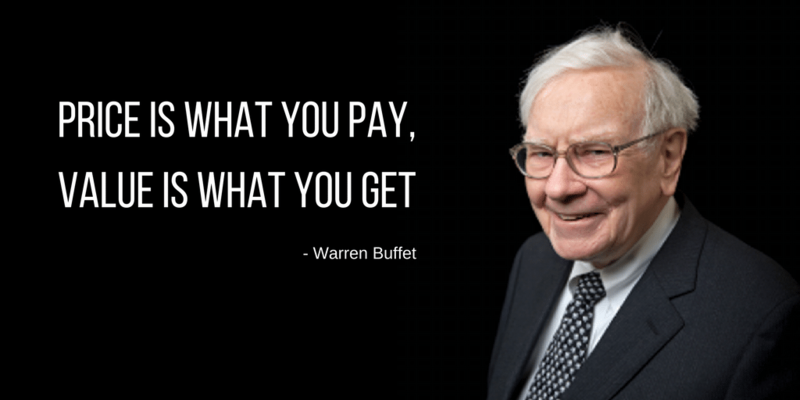 A famous quote from Warren Buffet sums up everything about price and value. 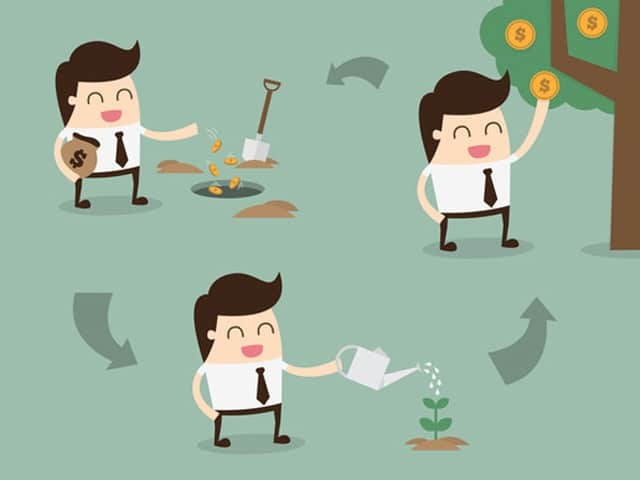 How Many SIPs Should An Investor Have?